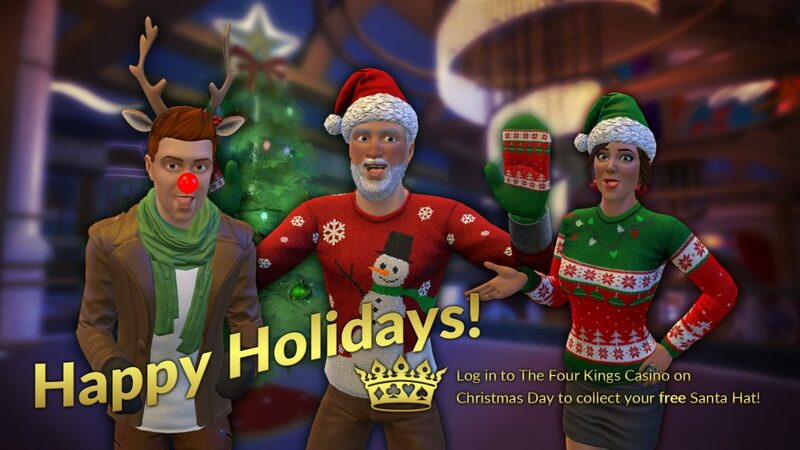 Celebrate the Holidays at The Four Kings Casino and Slots! Happy Holidays! To celebrate the season, we are having a special holiday event! For the 12 days before Christmas, we will be replacing the Chip Scavenger with Presents! Each present will have 250 chips and a chance to win a Daily Prize! If you don’t happen to be lucky enough to win the prize, all prizes will be available for purchase with RP in the 12 days after Christmas! And be sure to log into the casino on December 25th to receive a free Santa Hat!